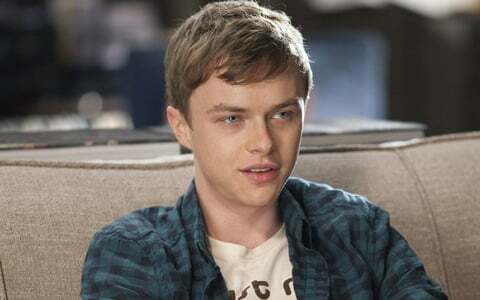 With The Amazing Spider-Man set for a 2014 release, the casting process is happening fast, and one big piece of the puzzle clicked into place today when Dane DeHaan signed on to play Harry Osborn, Peter Parker's best friend and eventual nemesis. Odds are you know who Harry Osborn is, since he was played by James Franco in the original Sam Raimi-directed Spider-Man trilogy. But much as Franco was when he was first cast as Harry, DeHaan is a major unknown, with only a handful of roles that introduced him to Hollywood-- and almost all of them in films that have come out in the last year. So lucky for you, even though DeHaan isn't a household name right now, it won't take long to catch up. Here's your quick guide to getting to know the new Harry Osborn. The intense HBO drama was a showcase for all kinds of recently up and coming actors, notably Mia Wasikowska, and DeHaan appeared on the third season of the show as the gay, defiant and promiscuous teenager Jesse. And like most everyone else who's ever appeared on the show, he earned raves for his deeply felt performance. You can see a clip of DeHaan's work on the show here. This surprise hit movie-- $126 million worldwide gross on a $12 million budget-- was a huge breakthrough for nearly everyone involved, but as the intense central character Drew, DeHaan may have had the biggest impact. He transforms the character from emotionally overwhelmed teenager into a terrifying force with remarkable subtlety, and really anchors the movie as the character holding the camera through the majority of the found-footage film. If you want to see what he can do with a character like Harry Osborn, fated to become a villain, Chronicle is the perfect place to start. This stylish Depression-era bootlegger film sadly went unnoticed when it was released this summer, despite a killer cast that includes Tom Hardy, Jessica Chastain, Guy Pearce and Shia LaBeouf. DeHaan more than held his own among those big names, as the physically handicapped Cricket, eager accomplice to LaBeouf's enterprising bootlegger. It's solid proof that, even in a wide-ranging film with bigger names, DeHaan will be able to make an impact. 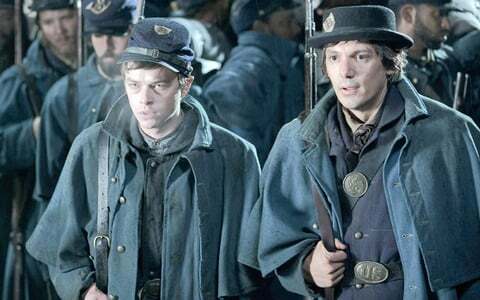 DeHaan's role in Steven Spielberg's new film is so small it's almost silly to include it, but it is playing in theaters now, and he does get to recite part of the Gettysburg Address to the President himself in the film's opening scene. I have no idea why he's got such a tiny role in this film, but doesn't it speak well of him that Spielberg wanted him on board?